I’ve long enjoyed pondering how living today measures up to yesterday’s vision of tomorrow – and how it falls short. I can now receive wirelessly once-unimaginable volumes of information – but poor software makes the device responsible crash. I can find out almost whatever I want at the press of a button – and I get it surrounded by links to stories about how celebrities look without makeup. I can theoretically work as easily in a 150mph train as in my office – but humans overload every system they build, so I can’t. It was always smoother and cleaner in science fiction. Yet, even as a connoisseur of the former future’s shortcomings, I was taken aback when I visited an exhibition on the work of Norman Bel Geddes, an early to mid-20th century futurist. I went to the exhibition – at the fabulous Museum of the City of New York – largely to let the six-year-old Invisible Visible Boy gawp at Bel Geddes’ plans for streamlined bubble cars, vast flying boats carrying 500 passengers and a plan for a floating air terminal off the tip of southern Manhattan. But suddenly, as I looked at one of Bel Geddes’ plans for a future city, I saw a plan eerily similar to a place I know – Dubai’s Sheikh Zayed Road – staring back at me. The more I looked, the more I noticed how Bel Geddes’ strange, extreme visions for the future had shaped not only relatively exotic places like Dubai but the environment I could see outside the museum’s Upper East Side windows and that I’d known in other parts of the world. The exhibition brought home to me a new version of a famous quote from John Maynard Keynes. Practical men who believed themselves to be quite exempt from any intellectual influence were “usually the slaves of some defunct economist,” Keynes said. Town planners, it occurred to me, were normally grappling similarly with some dead thinker’s vision of the future. 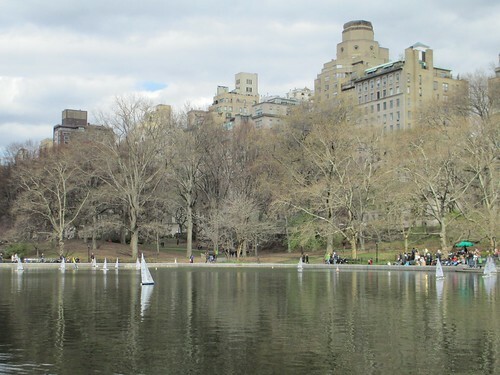 The continuing legacy of people like Bel Geddes – and people he influenced, like Robert Moses, builder of much of contemporary New York and influencer of planners worldwide – explains why roads in so many cities cater so poorly to the full spectrum of users. I left struck with the obligation for the present to bequeath the future something better. My revenge on Bel Geddes had started even before I got to the museum, though. Bel Geddes’ vision of the US in 1960 – unveiled at the 1939 World’s Fair in Queens and sponsored, tellingly, by General Motors – envisaged a country criss-crossed by highways with pretty much all transport provided by some form of motor vehicle. Bel Geddes specifically called for creation of urban motorways. “There should be no more reason for a motorist who is passing through a city to slow down than there is for an airplane which is passing over it,” Bel Geddes wrote. 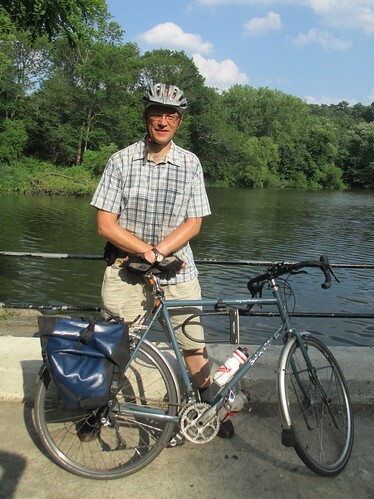 I scoffed at his ideas by enjoying a 12-mile cycle ride to the museum - over the Brooklyn Bridge, up the Hudson River Greenway and through Central Park. But it was also clear once I’d visited the exhibition that I’d ridden through some concrete-and-steel expressions of Bel Geddes’ ideas. As I headed north of 59th street, my cycle route ran under the Henry Hudson Parkway, one of many freeways that Robert Moses designed to realise a vision similar to Bel Geddes’ to cater to motor cars. When I lived in London, I would sometimes cycle under the Westway, another urban motorway intended to speed motorists through an urban landscape as if it wasn’t there. Glasgow, where I grew up, has built so many urban motorways it sometimes feels as if there’s little city left. All of those roads started out offering glamorous promises for a better, freer tomorrow and are now clogged up by congestion. When everyone tries to drive a car into a city, it turns out, they often end up slowing each other down. Those visions of future utopias had become dystopias, it occurred to me as I rode home, because of shortcomings that become obvious on closer examination. In such visions of a smoothly-running automotive future, cars are only ever shown moving, not parked. That’s not an omission that seems credible to anyone who’s ever cycled around Brooklyn on a street-cleaning day. Street after street clogs up as drivers double-park their vehicles on the other side of the street to let the cleaning machine past. The cars also run an orderly distance from each other in past visions of the future. At the World’s Fair, Bel Geddes made it clear that he thought radio control by 1960 would be preventing cars from crashing into each other. Pedestrians seem to have been out of the equation because Bel Geddes thought they would all be on elevated walkways. Although pedestrians are segregated on walkways in some places – like Hong Kong – his vision is laughably at odds with the honking, disorderly reality of contemporary urban roads. However, the biggest failing of the former futurists’ vision is that they fail to recognise how the future has to fit into past visions of the present. It’s seldom possible to build a city from scratch with no regard to the existing buildings and streets – although, of course, many of the attempts to realise the futurists’ visions were made in cities razed by second world war bombing. Only Robert Moses’ remarkable political power allowed him to demolish so many New York neighbourhoods to accommodate his grand road schemes. It was the clash between the past and the future that finally put a stop to Moses’ drive in New York. A film at the Museum of New York describes how his attempt to build an expressway across lower Manhattan foundered on the unlikely rock of Jane Jacobs, a writer and theorist who organised opposition and had the scheme stopped. Jacobs loved the architecture and streets of Greenwich Village, where she lived, and thought the area’s townhouses and tenements worth preserving. There would be similar battles fought - some won, like the battle to stop Edinburgh's Old Town from being demolished for a motorway, and some lost - right across the developed world in the decades to come. Even the United Arab Emirates has started to realise that car-dominated cities pose severe problems. There’s now a metro line along Sheikh Zayed Road, running above the cars. Last time I visited the UAE, I was also able to visit a more Jane Jacobs-ish model of a Gulf city in Masdar, outside Abu Dhabi. While it features a rather Bel Geddes-ish underground electric car system, Masdar is designed to replicate the traditional urban patterns of middle eastern cities, with fountains, high stone walls and structures designed to produce natural breezes. Cars are banned from the heart of the town and the planners intend that cycling will be one of the ways inhabitants get about. 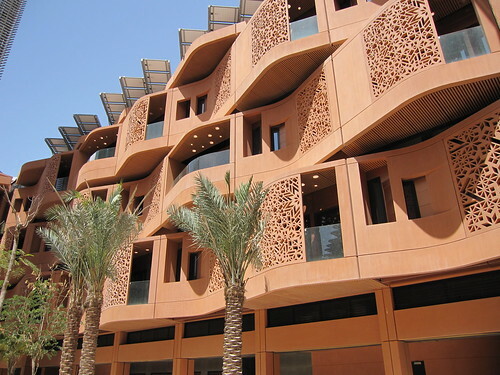 Few places, however, have the luxury of starting from scratch as the Masdar planners have done. New York and other big cities consequently live with some of the kind of old infrastructure that Jane Jacobs fought to preserve and some of the futurist infrastructure that Robert Moses promoted. The challenge is to work out how best to adapt both to fit the future. The tension has struck me powerfully this week. 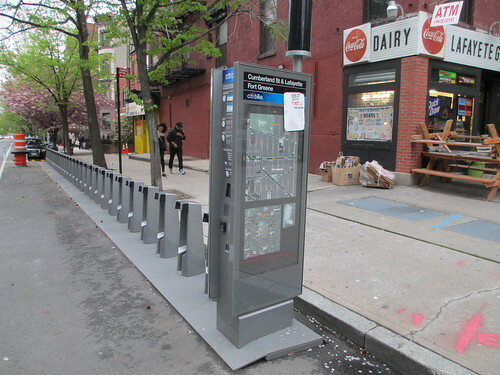 There is some excellent, new provision for me and my bike in contemporary New York, built by city authorities who think the city in the future will need more people to get about roughly the way I do. I’ve also, however, attended this week a protest calling on the police to stop speeding drivers after the death on October 26 of Lucian Merryweather, hit by a speeding driver on a Fort Greene sidewalk. I’ve also a couple of times had to cycle down part of 2nd Avenue in Manhattan and then onto the East River bike path. The cars on 2nd avenue, when not caught in a traffic jam, would buzz me at intimidating speeds. 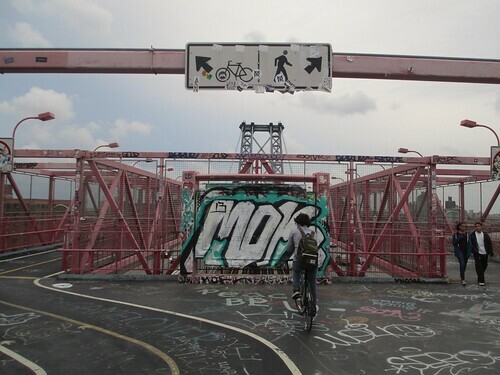 Then, as I sought to get onto the East River bike path, I had to cross an off-ramp from FDR Drive, the kind of urban expressway I’d seen staring back at me from Bel Geddes’ pictures. The cars came roaring off the expressway into the city streets, most still running at a good 60mph. As I watched them, wondering when I would safely be able to cross, I thought of Norman Bel Geddes. Some of his vision now looks strange and much of it looks downright dangerous. But there remain many drivers who see no reason why a car should have to slow down just because it’s in a city. I've long been keen when reading history to study the people who were really, seriously wrong about things. The people who airily dismissed Charles Darwin seem almost as interesting in their pig-headedness as the great man was in his insightfulness. I'm interested in the prelates that persecuted Galileo or, on a smaller level, the Daily Mail editor who refused to believe his fashion editor the miniskirt would be a hit. I'm consequently intrigued to think how fascinating Rod Liddle of the UK's Spectator magazine will seem to future generations. He has a remarkable knack of stating with verve, passion and an absence of judgement rotten arguments that time will surely only make smell more putrid. It’s even a matter of some pride to me that this blog provided the jumping-off point for a piece by Mr Liddle – think a low-rent, less-coherent PJ O’Rourke, American readers - that I predict could face ridicule for decades or even centuries to come. My first concern, however, is to ensure than no-one mistakes Liddle’s piece on cycling in the latest Spectator – entitled “Off yer bikes! Cyclists are a menace to society — and self-righteous to boot” – for a serious, thought-out argument about cycling’s merits. As with other recent attacks on cyclists – including that by Dorothy Rabinowitz in May on the Wall Street Journal’s website - the piece’s few factual assertions crumble into nothing on any examination. The rest of the argument rests on allegations made noisily, in the apparent hope their volume will make them seem more convincing. The nature of Liddle’s thinking is clear from his targets. There are, to be sure, the now-traditional self-contradicting attacks on people who cycle on pavements (sidewalks, American readers) as well as those who ride on roads; attacks on cyclists who are too slow and hold up traffic as well as those who “whizz” by him. But Liddle also refers to the ownership by cyclists he dislikes of “a pompous little pointy plastic hat, hilarious goggles, a fatuous water bottle”. By the time a writer is imputing motives to inanimate objects and shouting at them, I could understand why readers might be pulling me away from Liddle shouting, "Leave him! He ain't worth it!" Yet I feel compelled to respond to at least some of Liddle’s ravings because they start off with a typically selective, misleading quote an old post on this blog (which he erroneously calls "The Invisible Cyclist") examining why some people feel such anger towards cyclists. but just can't get animated about it. My post begins with an account of a conversation with a driver who wanted to intimidate me off the road so that she could get to the end of a traffic jam faster. When I (inevitably) caught up with her, she moved quickly from leaning on misleading points about the financing of roads to suggesting that I, as a Scot, shouldn’t be in London. The post links (reasonably, I think) the woman’s intolerance of my ethnicity to her intolerance of my being on a bike on a road. I suggest that people’s unreasonable intolerance of people on bikes has points in common with other forms of intolerance – including homophobia and anti-gypsy prejudice in Eastern Europe. It seems to me they all reflect a general anger at anyone who’s seen to be doing something different. I go out of my way to make clear that gypsies, gays and other oppressed groups face far more wide-ranging problems than mostly well-off cyclists. But I suggest the feelings have a similar genesis. Liddle, on the other hand, says I think I’m “special” because I ride a bike and hence a Victim, complete with sarcastic capital V. He goes on to regret that fewer cyclists are being killed annually on the UK’s roads and attributes it to the dead hand of Political Correctness. He then goes on to show a bizarre lack of insight into other people's thinking by saying that – hahahahaha – he’s only joking but humourless activist cyclists won’t realise that. He doesn't seem to realise that people know he thinks he's joking when he says hateful things. It’s just that only a seriously unpleasant, callous fool regards it as funny to joke about wanting cars and trucks to crush more people annually from a group he's decided to find annoying. There were, as it happens, 118 cyclists killed on Great Britain’s roads in 2012, a 10 per cent increase on the number in 2011, in a period where other kinds of road user fatalities mostly fell sharply. I've made unusual choices, rather than being special in the sense of being morally superior. Only between 1 and 2 per cent of trips in the UK, where I lived when I wrote the piece Liddle attacks, are by bike. Only 0.6 per cent of commuting in the US, where I’m now based, is on a bicycle. I’m interested in why I experience a level of anger when I’m riding a bike that I simply wouldn’t while walking or taking public transport. Someone, for example, threw a bottle at me as I rode home from church on Sunday evening, something I’ve experienced several times while cycling. I’m curious why some people, Liddle included, find cyclists self-evidently suitable targets for particularly intense scorn and rage. The piece does at least make a pretense at wheeling out a few rather shop-worn facts to try to back up the simple assertions. Liddle writes, for example, that it’s more dangerous to be a pedestrian in the UK than a cyclist. An examination of crash statistics for 2012 shows that the UK suffered an average 38 fatalities for every billion miles cycled, against 37.6 fatalities for every billion miles walked. Liddle also asserts that it’s necessary to pass laws to rein in cyclists to protect pedestrians such as him. Yet of the 420 pedestrian deaths in Great Britain in 2012, only 2 – 0.48 per cent – were a result of collisions with cyclists, which accounted for 0.11 per cent of all road deaths. Given that bikes account for, say, 2 per cent of traffic – and far more in the busy places where most pedestrians are hit – it’s obviously disproportionately safe for pedestrians to be around cyclists. There is not the slightest evidence for Liddle’s assertion that injuries to pedestrians from cyclists are rising. In a rational world, a Rod Liddle who was genuinely concerned about pedestrian safety would be calling for far more journeys to transfer from cars to bicycles, to protect people on foot. Even in the strange world of a conservative columnist's mind, it's hard to think of other areas where people rant about a group that are causing 0.11 per cent of the problems they profess worry them, while ignoring those causing 99.89 per cent. But Liddle’s writing sadly isn’t marked by any kind of intellectual curiosity. He remarks, for example, that this blog is “anonymous” as if that were inherently suspicious. Yet my identity is hidden only until one reaches the bottom of the page and sees who owns the copyright. I suggested in one recent post that readers follow me on Twitter – where I give my real name – and some commenters address me as “Robert”. There's a picture of me on the blogpost he quotes. On Friday, the day after Liddle's piece appeared, a stranger cycled up to me as I waited at traffic lights during my morning commute and asked, based on the work security pass hanging from my belt, if I was author of this blog. The contrast with Liddle's failure to spot the obvious was telling. There's a similar lack of originality. Liddle’s piece reflects nearly perfectly the advice in a “terrible journalist’s guide to writing an article about cycling” that Mark Treasure, a British blogger, wrote more than a year ago. Liddle even recycles some of his own, stale ideas. The original post that he quotes mentions a previous attack he wrote on cyclist’s “pompous plastic helmets”. He saves some time in getting the piece finished by reusing pretty much exactly the same language. It’s pretty clear that any purported facts – indeed any real relationship to the outside world – are mere jewels encrusting an object made up of bilious ventings from Liddle’s gut. His higher brain centres – which might have over-ruled some of the absurdities – seem to have been given the day off. Yet there’s nowhere, it seems to me, where Liddle gets it as wrong as he does when discussing cyclists’ characters. Rod Liddle's angry cyclists sometimes don't use bike lanes. not being used by cyclists. I don't repent either of liking cycling’s environmental credentials. Liddle dismisses cyclists as people who “think they’re saving the bloody planet” and sneers at the idea. Yet it’s pretty hard to see how anyone who accepts the reality of global warming – something many Spectator readers don’t, of course – can dispute the idea that using an emissions-free means of transport has to be some help in reducing global emissions. It's obvious I'm a roundhead to Liddle's cavalier, just as I'm a cyclist and public transport user while he, I'm imagining, is a significant customer of London taxis. But my moral convictions wouldn't have got me riding as much as I have round the three cities I’ve most recently lived – New York, London and Budapest. I’ve done it because riding a bike lets me hear the sound of the birds in the trees where I live, appreciate the streets and the history, see remarkable sights late at night and creep up unheard on deer on a quiet country road. I ride a bike mainly because the simple pleasure of doing so fills me with a simple sense of youthful joy. Having just marked my 44th birthday, I desperately need that. Liddle’s rants at what he imagines to be the politically correct conspiracy of the British establishment seem weighed down with bitterness and cynicism. It's hard to imagine he couldn’t do with experiencing some of that youthful joy too. The Saturday before last, facing a day of boring but necessary chores, I persuaded my family that we could alleviate the tedium by going for lunch in Fort Greene, one of my favourite bits of Brooklyn. After I’d cycled there and everyone else had taken the G Train, we settled on eating in Black Iris, a middle eastern restaurant at the corner of DeKalb and Clermont Avenues. We ate looking out on the mixture of brownstone houses and fashionable businesses that makes Fort Greene such a likeable part of the city. I found myself looking at some of the same scenes again this past Saturday, in far less happy circumstances. Returning home from a bike ride with the children, I spotted on Twitter pictures of a pharmacy that I realised was diagonally opposite Black Iris. Next to it was a Ford sports utility vehicle on the sidewalk, with sheets covering a body and police tape cordoning off the scene. Some poking around revealed that, around 12.45pm, a driver had crashed his SUV through the front of Black Iris – no doubt as diners like us tucked into the grilled meats and Mediterranean pizzas that our family had enjoyed a week before. After hitting the restaurant, the driver, Anthony Byrd, reversed at speed, made a U-Turn, swerved, hit some cars on the other side of the street by the pharmacy, mounted the sidewalk and hit a mother and her two boys. The sheet was covering the body of Lucian Merryweather, a nine-year-old, crushed on the sidewalk by the pharmacy. His five-year-old brother is in hospital. Byrd also hit a pedestrian in a crosswalk. It’s the kind of incident that ought – as multiple-victim public shootings once were – to be shocking, garner exceptional media attention and be fully investigated for lessons. But it’s actually depressingly routine. 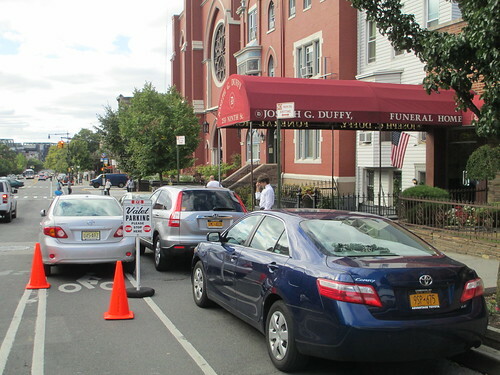 A Streetsblog post from September suggests that cars mounting sidewalks have already killed at least nine pedestrians so far this year in the city. Those figures don’t include Sian Green, the British tourist whose leg was severed in August when a taxi driver mounted the sidewalk while trying to ram a cyclist. Nor do they include Michael Gomez, who died of an asthma attack a few days after he was one of several children hit in Queens when a driver mounted a sidewalk. Much coverage of these events has focused on their individual, exceptional circumstances and the culpability or otherwise of the drivers – and sometimes even the victims – involved. The attitude of New York's police has been reminiscent of the fatalism of some Hungarians when I lived in Budapest about the country's shortcomings. “Hat, mindenhol a vilagban (Well, everywhere in the world)” they would say over problems that were objectively, verifiably much worse in Hungary than elsewhere. The folly of that complacency was exposed on Friday from the other side of the Atlantic when Transport for London published its annual health, safety and the environment report. The report – which was given a rough reception because it suggested safety for some categories of road user was falling - showed that 134 people died on London’s roads in 2012. That’s less than half the 271 who died on New York’s streets the same year, in a city with roughly the same population and traffic flows. New York killed more pedestrians in 2012 – 135 – than died on all modes of transport on London’s streets. a US vote, we'd choose him, we promise. Although it’s tragically too late for Lucian, New York this week has a chance of making a new start on road safety issues. 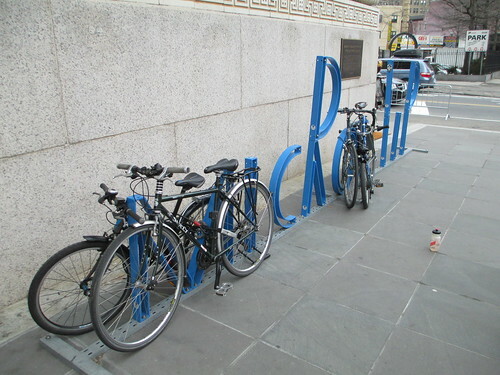 The day after our visit to Fort Greene, our family emerged from church to find our bikes had been festooned with spoke cards suggesting we vote in the mayoral election – this Tuesday, November 5 – for Bill de Blasio, the Democratic candidate. During the Democratic primary, de Blasio loudly proclaimed his support for Vision Zero, a policy that targets eliminating city road deaths entirely. If deBlasio does go for the systematic casualty-reduction technique of Vision Zero, it should, I think, prove far easier than anyone expects to bring down New York’s deaths to levels far closer to London’s. London’s figures, after all, are achieved in a city where some vehicles still speed, where the police response to many road incidents is grossly inadequate and where the poor design of parts of the mayor’s hurriedly-introduced cycling network has led to a series of appalling deaths. On the most basic levels in London, I suspect the superiority of its road safety record is down to drivers’ reasonable expectation that a speed camera will catch them if they speed, to the calming effect on traffic of the central London congestion charge and a total ban on vehicles’ turning through crosswalks when pedestrians have a green light. There is also, I suspect, an effect of the reduced politicisation of policy-making compared with the US. The UK’s independent civil service tradition ensures that many of the senior officials grappling with road safety issues in London are the same people who have dealt with them for many years. There is less need to make the big policy splash that mayors in big North American cities crave when introducing an initiative. That civil service’s tradition is to work by producing dull, practical reports and recommending policy solutions mainly on a practical basis, often by formal cost-benefit analyses. A small group of officials, I suspect, will have had charge of producing TfL’s health, safety and the environment report. Their job prospects, I suspect, are closely tied to the health of the city’s road culture. It’s probably no coincidence that introduction of the poorly-designed Cycle Superhighways - one of London's worst-designed policies - is among those most closely associated with an individual politician. In New York's case, it’s hard to imagine a man capable of running a slick election campaign can’t – if he’s willing – introduce fairly quickly policies to bring the city's road safety practices closer to London’s. Ideally, he'll choose somewhere still more safe. shouting at me and gesticulating so hard?" A picture that another parent took shows the candidate and his staff looking a little taken aback at the vehemence of my point-making. De Blasio’s body language looks a little defensive. There have been signs – including some remarks about pedestrian plazas in a debate that suggest an only partially-digested sense of his policy’s implications. The candidate nevertheless mentioned his support for Vision Zero when I spoke to him and trumpeted his Streetspac endorsement. I remain nervous, nevertheless. I can only hope in light of the Merryweather family's appalling grief over a young life wasted that my parting shot to the future mayor will prove prophetic.